I originally wrote this blog to publish yesterday, 26 October, Palmeiras’ 100-year anniversary. I intended it to serve as a thoughtful reminder and a warning for future years. I soon realised my suggested timing would have been completely inappropriate. Although Palmeiras’ current issues are very relevant and very real, yesterday was a day to put that to one side. Yesterday was a day of celebration, to recognise the illustrious history of one of the world’s greatest football clubs. To remember the Arrancada Heróica, the Academia, the Segunda Academia, the Ataque dos 100 Gols… I, a late-in-life Palmeiras fan, would like to congratulate all of my fellow palmeirenses on the club’s 100th anniversary, and here’s to 100 more. Palmeiras’ 1-0 win against Coritiba on Saturday evening was less than convincing, but was enough to temporarily lift the traditional São Paulo club out of the relegation zone in the Brazilian championship. Seeing big clubs near the bottom of the table is not uncommon in Brazil, with Rio de Janeiro teams Flamengo and Botafogo flirting with the drop zone already this season. However, Palmeiras have taken this phenomenon one step further, having been relegated twice since 2003 and threatening to fall once more. Palmeiras is the fourth best supported club in Brazil (behind only Flamengo and local rivals Corinthians and São Paulo) and holds the record for the most Brazilian championship titles won, tied with Santos. However, the last of these national titles came twenty years ago and the status and reputation that comes with such an illustrious history appears to be dwindling. This latest relegation fight is made all the worse by the fact that this year is Palmeiras’ centenary, with 26 August marking the club’s 100th anniversary. What was meant to be a season of celebration could well turn out to be one to forget. Where did it all go wrong? It is a long story that first requires some basic knowledge about the inner workings of Brazilian football clubs. Unlike the majority of European teams, football clubs in Brazil are members clubs, often encompassing a wide variety of sports and even social elements. (Palmeiras’ full name, for example, is Sociedade Esportiva Palmeiras: Palmeiras Sporting Society.) This results in a few major differences in the way these organisations are run: firstly, club administration is largely amateur (although not in a financial sense, many club presidents are well paid for their trouble), and considering that football is often not the only focus of the organisation, the club president will take care of the professional football team while also overseeing the under 15s badminton squad. The third (and most important) difference is that club presidents in Brazil hold no personal responsibility over their conduct in running the organisation. This allows presidents to run up huge public and private debts, knowing they can sneak out the back door untouched at the end of their term. Palmeiras’ downfall began in the late 1990s, at the tail end of a trailblazing sponsorship and co-management deal with Italian dairy corporation Parmalat. In 1992, looking for a way in to the growing Brazilian market, Parmalat approached Palmeiras and offered them an eight-year partnership, promising heavy investment in the club and professional management in exchange for an advertising platform. Such an agreement was unheard of in Brazilian football and the positive results showed almost instantly. Palmeiras built a very strong team, paying big money for players such as Zinho, Mazinho and Edmundo and in 1993, they won the São Paulo state championship (their first trophy in 16 years) beating fierce rivals Corinthians in the final. 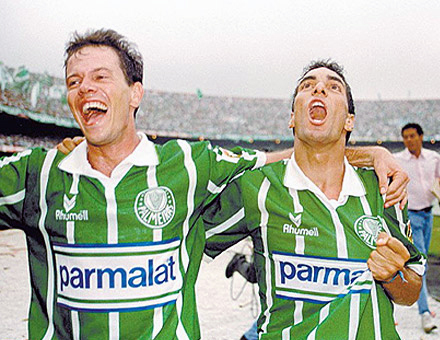 Palmeiras went from strength to strength under Parmalat, winning titles throughout the 90s, culminating in the 1999 Copa Libertadores trophy, making them champions of South America. The same year, the partnership with the Italian multinational came to an end and the club was handed back to its members, led by president Mustafá Contursi. 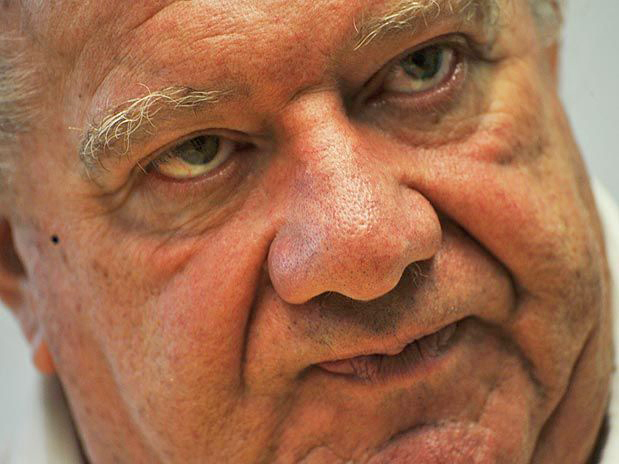 When looking deep into Palmeiras current problems, everything seems to point to Mr Contursi. A member of the club since 1951, the jowly, rotund septuagenarian has devoted most of his life to Palmeiras, but oddly for someone in his position, those close to him claim he is not much of a football fan, instead preferring the cosy confines of Palmeiras’ social club in São Paulo’s leafy Perdizes district. Despite not receiving any further investment from Parmalat, Contursi was handed the club in a good financial position. However, in the Italians’ absence, club spending decreased dramatically, as did their results. By 2002, they had been relegated to the second division. 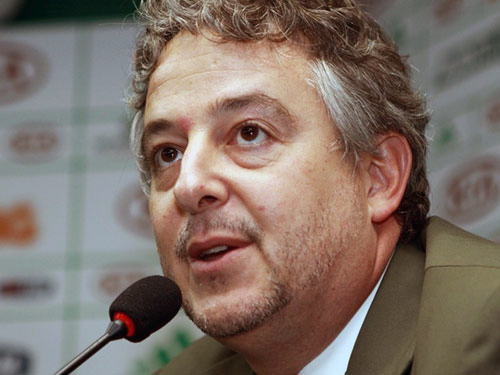 At the end of 2000, despite publically decrying the idea of transforming football clubs into businesses, it was revealed that Contursi had secretly opened Palmeiras SA, a private company to which the bank balance of SE Palmeiras (around $45 million at the time) had been transferred. Contursi owned shares in the company and along with his presidency at the club, this gave him absolute control over the ins and outs at Palmeiras, allowing him to sidestep usual checks and balances. A formal parliamentary investigation into the dealings of Brazil’s FA and major clubs examined Palmeiras SA and recommended a complete audit of the company’s accounts be carried out, which was never done. Palmeiras were leaking money, but to the public eye it seemed that they were being frugal. Giving priority to other spheres of the club, Mustafá Contursi boasted about his “bom e barato” (loosely translated as “cheap and cheerful”) approach to administering the football team. He met expensive transfer proposals with flat refusals, and sent the club after players available on free transfers and from small clubs outside of the top leagues. With no requirements about the quality of the players being signed, Contursi left Palmeiras with a terribly weak squad who were duly relegated at the end of 2002. Under allegations of fraud and claims that he was actively censoring opposition within the club, Mustafá Contursi left his post as club president in 2005, appointing Afonso Della Monica as his successor (with whom he would later have a public falling out). The damage, unfortunately, was already done. Mustafá’s authoritarian management style split Palmeiras in two behind the scenes, completely transforming the club’s internal politics. Although he is still heavily involved, his legacy are the messy power struggles between warring factions that have been brewing since the year 2000. Palmeiras reclaimed some of their status under Della Monica, but when he fell out with Contursi, the ex-president pulled some strings to introduce term limits, impeding Della Monica from running for re-election. The outgoing president gave his support to well-known economist Luis Gonzaga Belluzzo, who went on to defeat Contursi’s candidate in the 2009 elections. Belluzzo presided over some important decisions during his single term in office, such as the agreements for the construction of a new state-of-the-art stadium (Allianz Parque, to be opened later this year), but he left the club in disgrace and financial disarray after a series of unwise signings and terrible wage management. Belluzzo’s failure opened the door for a return to power for Contursi, who put forward Arnaldo Tirone as his preferred candidate. Tirone went on to win the election comfortably and preside over perhaps the most calamitous administrations in the club’s history, culminating in the club once again being relegated to the second division. The day after Palmeiras suffered their second relegation in ten years, Arnaldo Tirone decided not to travel back to São Paulo, instead taking a day to himself to fully process the seriousness of his club’s predicament – by sunbathing on a beach in Rio de Janeiro. In his most intelligent decision as president of Palmeiras, Tirone decided not to run for re-election. Eighteen months into his two-year mandate and the jury is still out on Nobre. “He has got a lot right, but has also got a lot wrong, particularly on the football side of things,” believes Flavio Canuto. It would be hard to argue with such an assessment. The current president’s main objective was to bring financial stability to Palmeiras, and it is the area where he deserves the most credit. Upon his arrival, the club had a convoluted portfolio of loan commitments, with several high-interest agreements that were not viable in the long run. Nobre was successful in transforming these loans into longer deals with kinder rates, even loaning some of his own money to the club. He has also made efforts to professionalise the club’s administration and expand the Palmeiras brand with a view to increasing revenue. Those who complain that he could have done more are perhaps overlooking the fact that by the end of the Tirone regime, an approximated 70% of Palmeiras’ revenue was already occupied, leaving Nobre precious little wiggle room in which to invest in new projects. On the other hand, Paulo Nobre is supported by Mustafá Contursi (albeit not as strongly as his predecessor) and some potential changes to the democratic system within the club (such as direct presidential elections for all paying club members, Contursi’s idea of hell) have been put firmly on the back burner. His administration of the club in purely sporting terms also leaves a lot to be desired. Despite being a passionate Palmeiras supporter and a lover of the game, his overly frugal approach to football has left the club in the lurch. His wage austerity and stubborn negotiation style have seen potential signings refuse to join and important players leave to play for rivals. The most complete example is that of Alan Kardec, who became the club’s top scorer and outstanding performer after joining from Benfica. When the time came to renew his contract, talks quickly broke down as the president refused to budge on his first offer. Kardec, feeling undervalued at the club, signed for fierce rivals São Paulo FC and scored a late winning goal in the derby between the two sides earlier this month. His transfer policy has also followed Contursi’s “cheap and cheerful” approach, having brought in no less than 35 players since the start of his term, with less than half of them still at the club today. However, Nobre must be commended on the appointment of Argentine coach Ricardo Gareca. With an excellent reputation and plenty of experience around South America, Gareca arrived fresh from a successful four-year spell in charge of Vélez Sársfield and his hiring suggested Nobre had a medium to long-term project in mind for the club. What’s more, Nobre began to consult Gareca about the players he wanted Palmeiras to sign. Although Nobre’s tight grip on the club’s purse strings allowed Gareca’s number one target, Vélez striker Lucas Pratto, to slip through their hands, he has since brought in several players upon the Argentine’s request, such as Fernando Tóbio, Pablo Mouche, Agustín Allione and Jonathan Cristaldo, all of whom have gone straight into the first team. Palmeiras are facing a more immediate problem, however, as the specter of relegation is rapping at their door once again. Losing Alan Kardec to São Paulo, as well as not being able to count on goalkeeper Fernando Prass and playmaker Jorge Valdívia due to injuries has left the squad looking bare and lacking in quality. Gareca is also passing through a period of transition and their early results have not been good at all. Before Saturday’s victory against Coritiba, the club had gone ten league games without a win. So, what now? The consensus among fans is that even though Nobre has done well with the club’s finances, now is the time to spend and do anything necessary to drag Palmeiras out of this current mess. Gareca appears to have the support of the board, as a needless change of manager could turn out to be fatal. “Most importantly, the board needs to understand the gravity of this situation,” says Canuto. 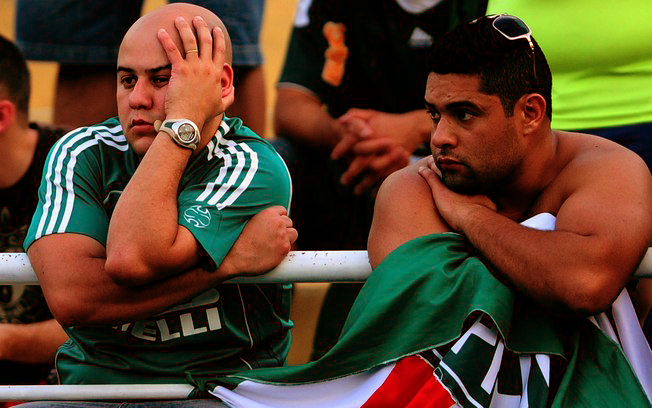 If the club was to suffer a third relegation in the space of 12 years, all of the effort and emotional investment would have been for nothing, and there is a real fear that Palmeiras, historically one of the world’s great football clubs, would never recover. Vida longa e próspera, Palmeiras. Pingback: A year to remember? | I like football me.